Saturday, November 25 has become regarded as the Alternative to Black Friday, a day when folks are encouraged to shop small and local… keep their dollars closer to home while supporting small cottage industries and mom and pops. 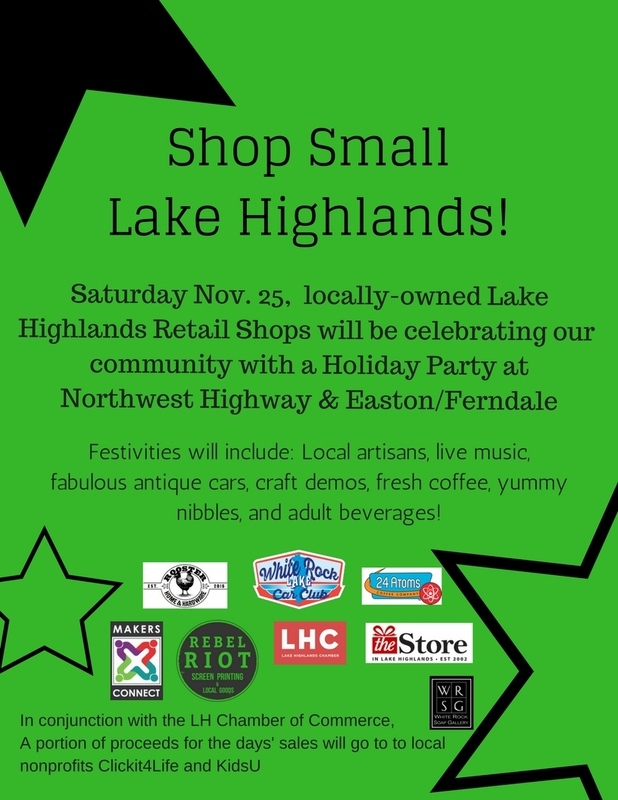 We have a number of such businesses here in LH, and are so tickled to be involved in this super fun party! This year the Lake Highlands Chamber of Commerce, of which we’re a member, has taken an interest in promoting our local businesses by elevating this day with celebrations in our Lake Center parking lot and environs. All the small shops will be taking part by hosting musicians, artisans, amazing vintage cars, food, and drinks all day! We at MC will play host to a number of our own in-house vendors in addition to some new friends; plus we’ll have live music and even demonstrations of art in the making! You won’t want to miss this family-friendly event. 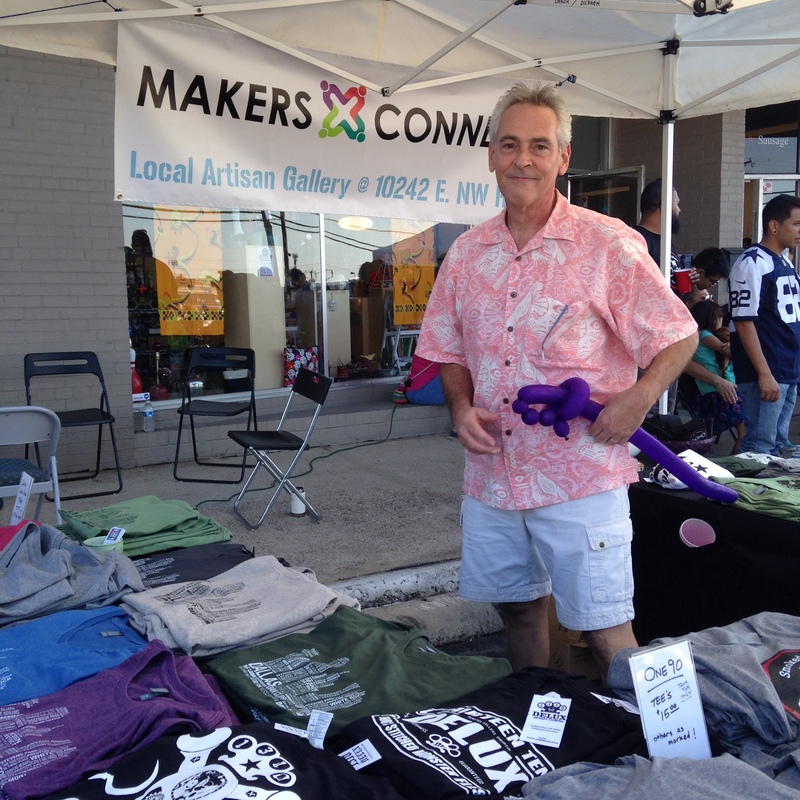 Makers Connect… what does it mean? Makers Connect – to their tribe. 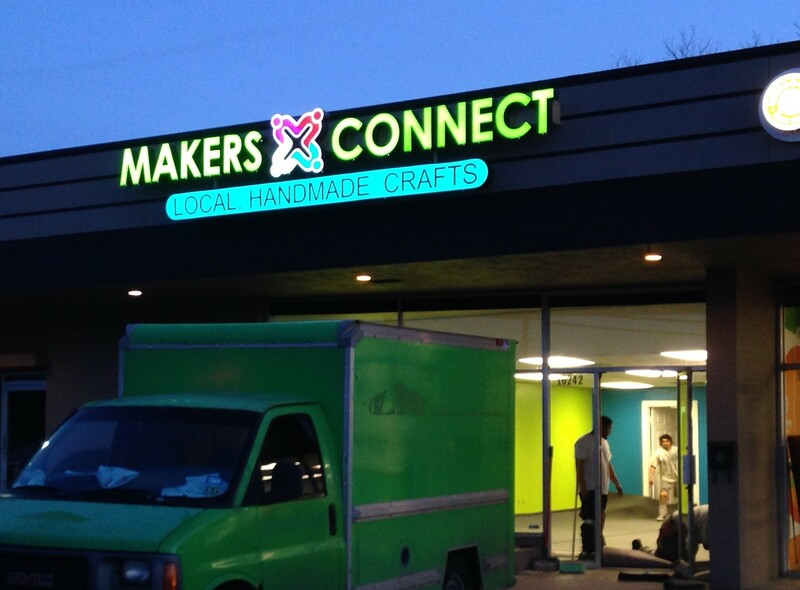 Makers Connect – to one another, to neighborhood… to new possibilities. *Just kidding. I know you dressed yourself. **Really kidding… your mother is absolutely lovely.